22% of the respondents either were not feeling comfortable nor have any one to talk or discuss about their issues. 52% of the individuals who were either not studying, not employed and not in training programs confirmed that they often or always felt depressed. 27% of employed individuals felt depressed always or often. Causes of stress : Work 76%, Money 73%, Relationship 59%, Family Responsibilities 56%, Economy 5%. Enhanced unemployment, falling property values, and declining savings, depressions, anxiety, grief, sexuality, relationship issues and much more. How do people cope up? May it be regular exercise, listening music, and reading, watching television or movie, playing video games? All said and done...but everyone will agree to the fact that a Counsellor would be of great help. 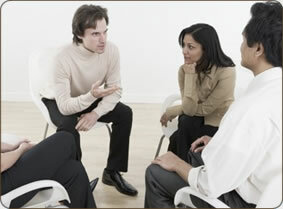 Search of a Counselling Professional; is the need of the hour. Counselling or Counselling services happens to be an individual or a team of expert professionals dedicated to support personal and interpersonal needs through discussions and interactions to help people overcome their stress and problems. Counselling skills development is based on constant update of knowledge and vast experience. Counselling for depression has become a basic necessity; as good as a mobile phone or a television set. Students today are on a spree to search top schools and colleges for online counselling degree programs or online counselling courses; some may even look for best online counselling classes or how to become a counsellor. Careers in psychology, either group counselling or crisis counselling and cross cultural counselling are in demand nowadays. Counselling is a very common term used for a very uncommon profession. Reason for it to be uncommon is that we practice it in our daily life; but very few take it up as a profession. Counselling means an individual or a group of experts who mediate advice, instruct, and discuss to resolve issues. The field is so very dynamic; hence schoolanduniversity.com has prepared a précis list of the different types of Counsellors to provide a brief idea about the occupation. Students are helped to succeed in school and develop social skills by School Counsellors whereas people seeking help for selecting educational program, career research, career development or career advancement tend to take help from Career Counsellors. People suffering from alcoholism, eating disorders, behavioural problems or any kind of addiction issues are rendered assistance in form of treatment and support to recuperate from addiction or the problem by Substance Abuse and behavioural disorder Counsellors. Professionals who provide treatment to people suffering of emotional or physical disabilities to live by themselves are known as Rehabilitation Counsellors. Personal, professional and social impact of such disabilities are the ones been targeted by these Counsellors to help their clients overcome. People seeking help or trying to overcome Mental and emotional disorders created due to family or relationships are helped by Mental Health Counsellors and Marriage and Family Therapists. Frequent questions are been asked to understand the client issue and basis that the strategy is been planned to improve the life and resolve the problem. Professionals who update people struggling with child’s problem, and also assists them to understand and manage the disorder are Genetic Counsellors. They are also known as big saviours for families as they finally have answers to some unsolved mysteries to genetics.